The RWS Supderdome has the socalled English bulldog design with a round head and a rifled skirt. 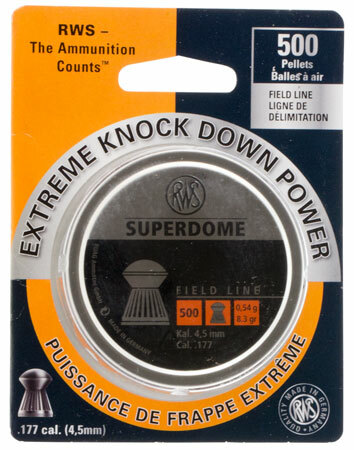 This Super Dome Pellet has the typical German quality features of all RWS Air Gun Pellets. It is an ideal field line pellet with excellent knock down power thats great for hunting and target shooting with your airgun.